New 2019 Nissan Maxima S with automatic CVT transmission (STOCK# NW60168, VIN 1N4AA6AV3KC371210) $229 per month lease for 36 months. $3499 cash/trade down + $229 first payment + $220 doc & title prep + $595 bank acq fee + $0 security deposit = $4543 total due at delivery. Sales tax, title and registration fees additional. Includes $2950 NMAC lease cash. 12,000 miles/year. Lease sale price = $33,023. Lease end buy option = $16,643. MSRP $35,410. All incentives to dealer, cannot be combined with other offers. Available to well-qualified buyers with Top Tier credit, not all will qualify. Offer ends 4/30/2019. I walked into Balise Nissan of Warwick last night at 5:30 pm and I never expected to leave at 9:00 pm with a new 2015 Nissan Murano all to the thanks of CC the salesmen that worked with me. CC made the buying process smooth and his calming personality kept my anxiety level to a minimum. The two important factors in this process was the level of communication and honesty that CC provided to me and I thank him for that. It was a pleasure - I look forward to doing business with you in the future.I wrote this review at 4:30 am because I couldn't sleep and beyond excited with my new vehicle!!!! I just bought a new truck from Balise Nissan, and I had a very good experience. Miguel really went above and beyond to make it happen for me. He really worked with me to make sure I ended up with the truck I wanted at a great price. I am so happy with my truck, and thanks again to Miguel for all his help! I just want to thank Jeremy for the best experience for purchasing my new car. I was at a previous dealership where I left basically in tears by the bullying treatment I received there. I arrived at Balise late Friday and Jeremy was able to calm me down, show me and put me in exactly what I needed for my family and I. I left Jeremy with happy tears... thank you! The service consultant Brian and the backend team did a great Job. Come see CC at balise he gave me excellent service !!!! On my New 2019 Rogue!! Ryan who helped us by the car was amazing! He was super friendly and super helpful! I'm very grateful for everything he did!! Ryan C. was extremely knowledgeable and exceeded my expectation s when it came to accommodating my exact needs for a vehicle and being patient with me as I considered all my options. From beginning to end I was treated with expert level customer service and never felt the typical pressure or pushiness I've felt at other dealerships. You have a great team! Great, fast service and a free car wash!! Buying a vehicle isn’t a one-time interaction with a dealership – or at least it shouldn’t be. If a dealership is doing it right, you should be able to go to the same business for additional services like maintenance, repair, inspections, trade-ins, parts and accessories. You name the automotive service and your car dealer should be able to provide it. 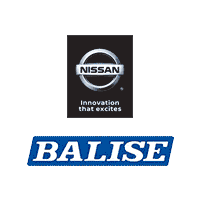 As one of the finest Nissan dealers in RI, we offer just this type of well-rounded experience here at Balise Nissan of Warwick. From our extensive inventory of new and used Nissan cars to impressive auto service, our Warwick dealership is the go-to automotive source for drivers from Providence, Cranston, Pawtucket, Coventry, RI, North Attleboro, MA, and beyond. That’s our main goal after all: to provide drivers from across the beautiful Ocean State with a one-stop-shop for all their vehicle-related needs. Find out today how you can get a Nissan Warwick, RI drivers depend on.